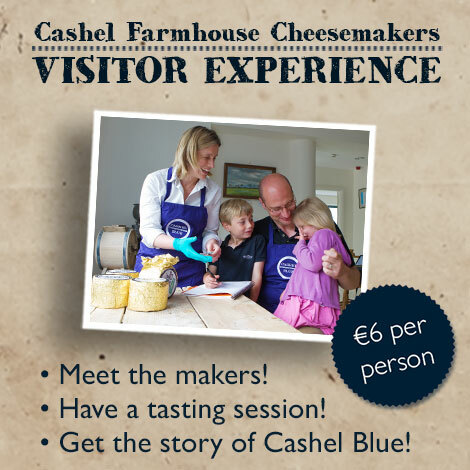 Visit the Cashel Blue dairy on any Monday or Tuesday, 10am – 4pm (excluding Irish Public Holidays). Full details of what to expect on your visit – Click Here. We have a minimum order policy of 2 people per visit. At Checkout you will select your visit time on the calendar. If you would like to gift this to someone else, you can let us know after your order through our contact page!.